We're constantly checking for the latest and best Black Friday camera deals and this one just leaped out at us. 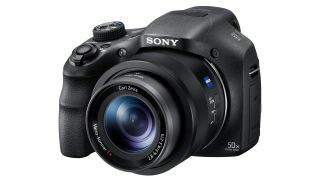 The Sony HX350 is a great bridge camera that offers a massive 50x zoom lens and you can buy it for just £219 – that's a huge £160 reduction against Sony's recommended retail price. That 50x zoom lens gives you the equivalent of a 24-1200mm lens, so it can tackle anything from wideangle landscapes and travel shots through to ultra-long-range wildlife photography. It offers more control than a typical point and shoot camera, with a DSLR-style mode dial on the top and an electronic viewfinder, but it's lighter and more manageable. What a bargain!